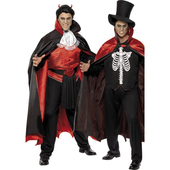 Be a vampire with a difference! 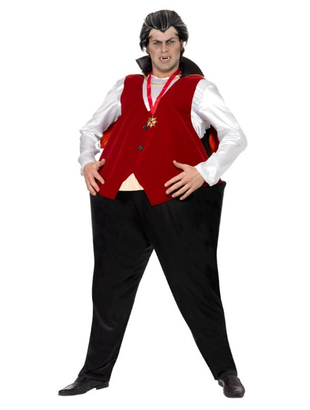 The Fat Vampire Costume includes an all in one jumpsuit (that is hooped to create the fat look), a white shirt, faux velvet red waist jacket and black hooped trousers. 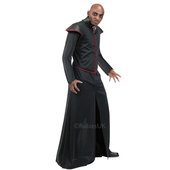 To complete the look a black cape is also included. 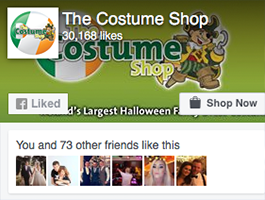 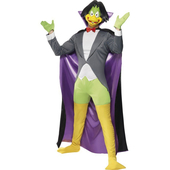 Please note the teeth, wig and medallion are not included in the costume but similiar may be purchased separately.